Hot Air Balloons Made Of Easter Eggs And Sugar Cubes With Paper Clouds Minimal Creative Holiday Concept. Fotos, Retratos, Imágenes Y Fotografía De Archivo Libres De Derecho. Image 118613372. 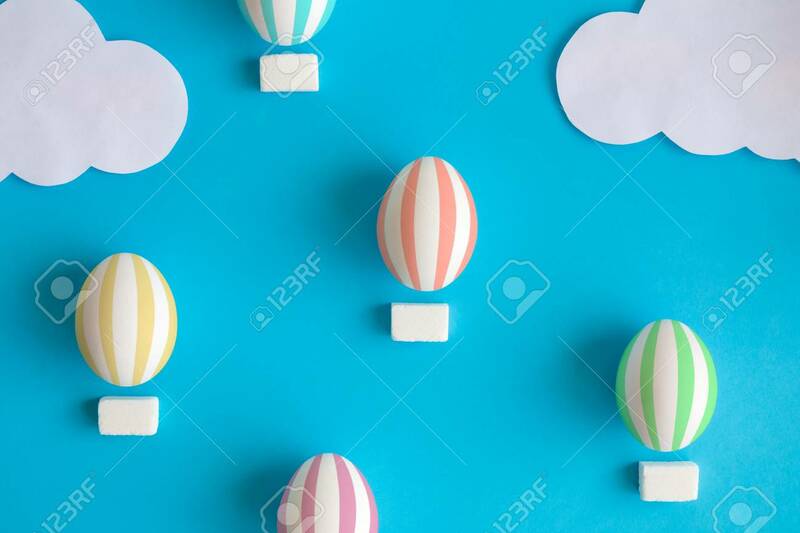 Foto de archivo - Hot air balloons made of easter eggs and sugar cubes with paper clouds minimal creative holiday concept. Hot air balloons made of easter eggs and sugar cubes with paper clouds minimal creative holiday concept.